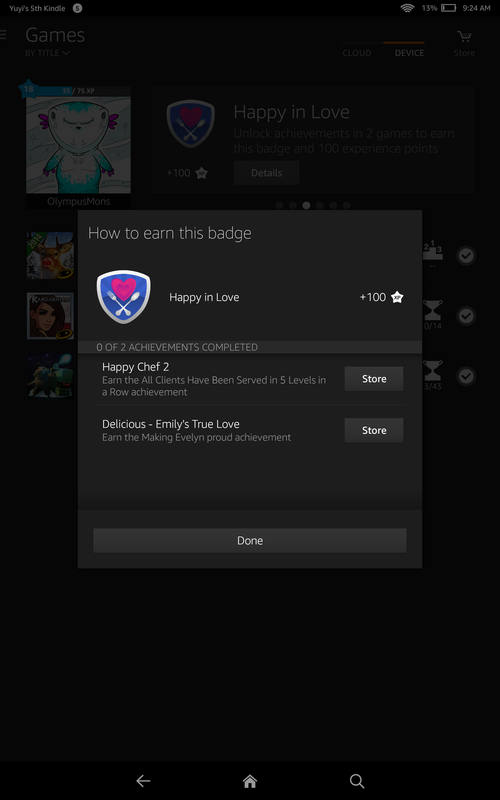 Here are a few screenshots from a shopping experience created for children. Our first step was to do research with our target audience. That meant interviewing younger kids as well as their parents' shopping habits during the holidays. 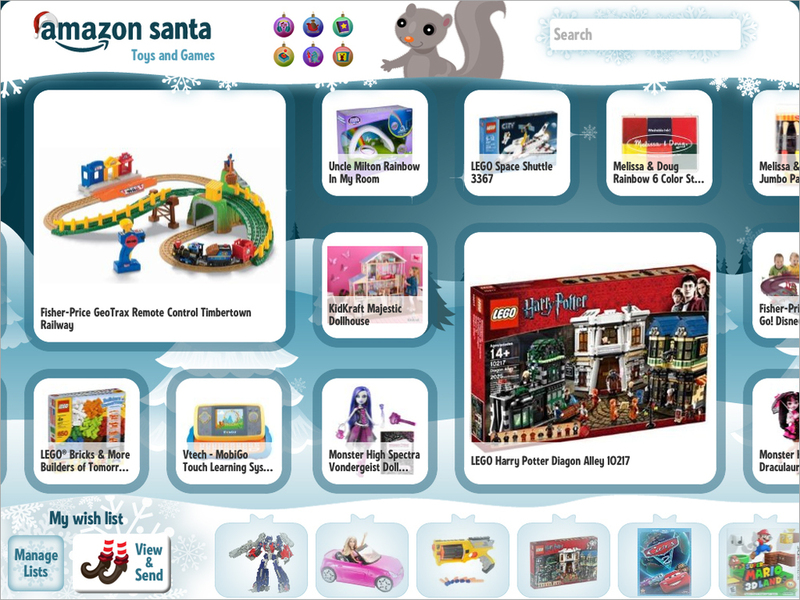 Since Amazon Santa would be an app, what other apps might kids enjoy? After that research, we compiled our findings and worked out an easy interface with simplified detail pages for products. 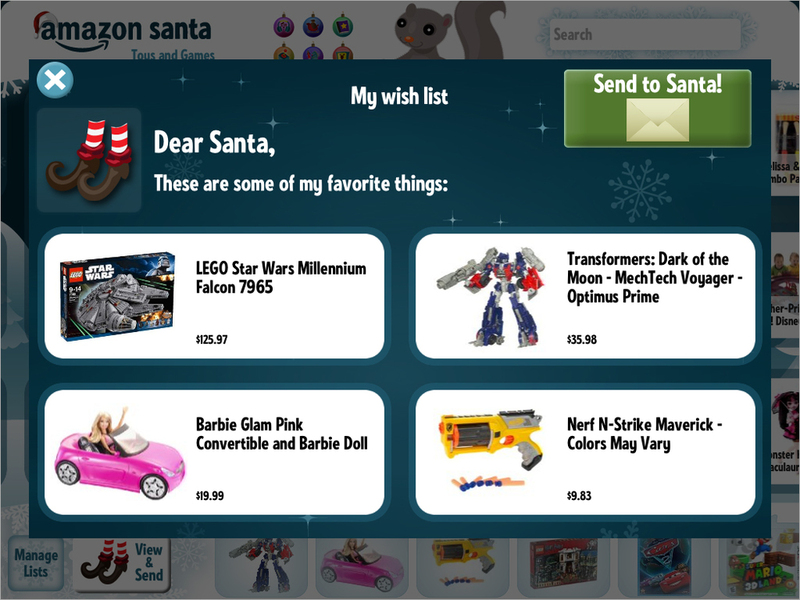 With the help of another illustrator, we were able to create a unique experience that made it fun to make a holiday list for Santa. I also managed the audio SFX as well as the cartoon animations. As the Art Director, I followed the entire project from concept to wire frames to final release on iTunes. As new features were being added to GameCircle for Kindle, it was necessary to assess what was working and what wasn't. 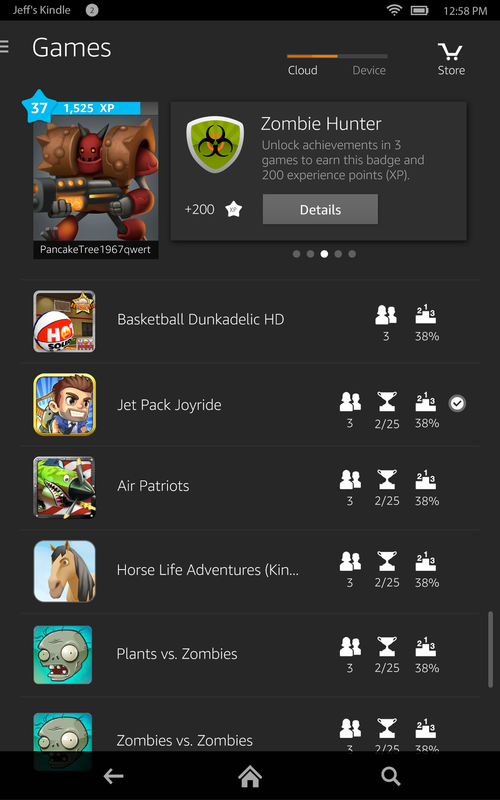 The Gamer Profile is a way for users to add a photo, change their gamer name and potentially look at their game stats on their Profile home page. I revamped certain features using data driven usability studies.